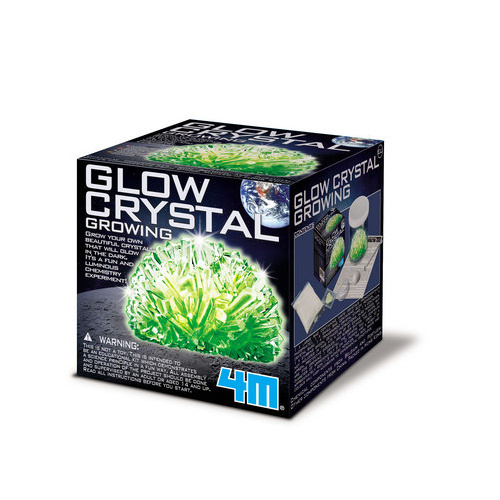 Glow Crystal Growing | It's a fun and luminous chemistry experiment! It's a fun and luminous chemistry experiment! 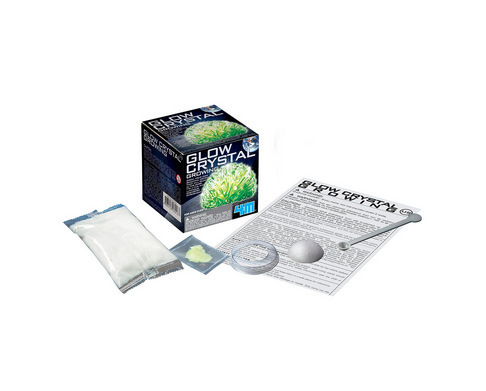 Grow your own beautiful crystal that will glow in the dark. It's a fun and luminous chemistry experiment! When you add the crystal powder to hot water, it breaks up into tiny particles that are far too small to see! As the water cools down, some of it evaporates. Thus, the water can't keep all the particles dissolved, and some begin to join back together! More particles join them, and over time, groups of particles join up in an organised way. These are the crystals that you see with straight edges and flat surfaces. 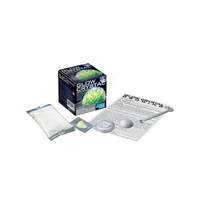 The glow powder that you sprinkle over the particles attaches to the surface of the crystal and crystal base. 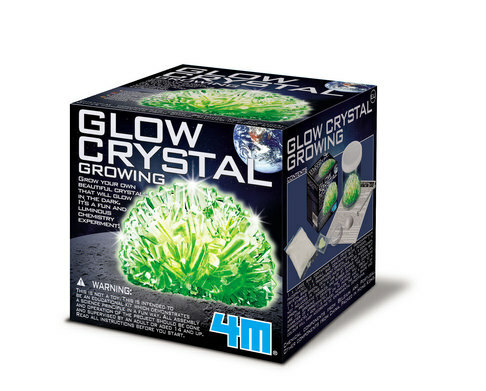 When they are charged with any light source and then placed in the darkness, the powder re-emits the light waves which pass through the clear crystals, making your crystal glow! - A container, stirring spoon and detailed instructions. Also required but not included: A jar of steaming hot water, an apron, protective goggles and rubber gloves. The contents are for growing 1 x crystal. Crystal dimensions: Approximately 5cm in diameter and 4cm in height. The size, shape and colour will vary according to experimental conditions.